XPO Logistics, Inc. 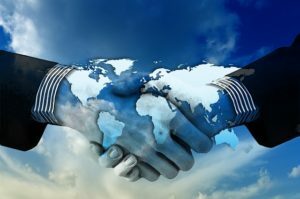 Provides Guidance on Trade Secret Protection Agreements – The Humphries Law Firm P.C. A recent decision from the North Carolina Business Court underscores a number of basic, but important lessons in protecting valuable company information. In XPO Logistics, Inc. v. Anis, an accounting director (the Defendant) was working for Landstar Supply Chain Solutions (LSCS) when it was acquired by XPO. The Defendant breached XPO’s employment contract and shared confidential company information with her subsequent employer. XPO prevailed in this dispute and in doing so demonstrated how to draft an enforceable employment agreement protecting their trade secrets. agreement included promises not to use or disclose confidential information outside of XPO and forbade her from taking a similar position with a company providing the same kinds of services as XPO for a period of time. Despite this agreement, the employee left XPO and almost immediately began working for a direct competitor in a very similar position. Moreover, prior to leaving, the employee sent email messages and other company files from her company email account to her personal email account, and then deleted the messages from her “sent” and “deleted” folders. A few weeks later, XPO filed suit alleging a number of claims including breach of contract, violation of the North Carolina Trade Secret Protection Act, and conversion. At the hearing on XPO’s motion for a preliminary injunction, the Defendant argued the employment agreement she signed was not supported by adequate consideration and thus could not be enforced against her. Contracts generally have to be “supported by consideration” or to contain promises that benefit both parties, to be enforceable. Completely one-sided agreements are generally unenforceable. In response, XPO argued that the employment agreement was supported by adequate consideration because it included a promise of severance pay conditioned on the employee meeting certain requirements including executing a release of all claims approved by XPO. The employee argued that since XPO could withhold its approval of the release without reason and the promise of severance pay was conditioned on XPO’s sole discretion, the promise was illusory, i.e. it was unenforceable by the Courts because it was nothing more than an agreement to agree. However, the Court concluded that the promise was not illusory; and as a result, the employee was enjoined from working for her new employer and sharing any confidential information whatsoever. Upon acquiring the company that previously employed the Defendant in this case, XPO had to have reviewed their employment agreements and discovered they had someone working in a potentially sensitive position without a written agreement ensuring confidentiality. It is best practice to not only require such agreements, but also to review them particularly after a major restructuring. In addition, the North Carolina Trade Secret Protection Act requires the owners of sensitive information to use reasonable measures to ensure the secrecy of the information they wish to protect. Although there is no statutory requirement for a written agreement, employees and contractors should, at minimum, sign an agreement that the information they are being exposed to is only for use within the company. Failing to do so leaves the trade secret owner vulnerable in a situation in which a former employee claims to have no knowledge their employer was trying to protect information as a trade secret. In addition, XPO avoided a general rule disfavoring restrictive covenants in employment agreements by citing a specific benefit to the employee provided by the employment agreement, i.e., severance pay. As a general rule, continued employment-at-will is not adequate consideration for an employment agreement. Some specific benefit must be provided by the employment agreement to the employee or it will not be enforced. On the other hand, Courts are not to inquire as to the adequacy of consideration, but are only to ensure that consideration is not illusory. The North Carolina Business Court distinguished the XPO case from other cases in which employers offered vague and ill-defined promises that would only be delivered in the discretion of the employer. Such promises do not provide an adequate benefit to the employee such that Courts will enforce the agreements against them. However, since XPO tied the Defendant’s continued employment to a specific benefit provided by the employment agreement, the Court still enforced the restrictive covenants against the employee. When asking an employee to sign an agreement protecting an employer’s most valuable data, it is worth offering some minimal consideration. Finally, employers should note that the Court examined the reasonableness of non-competition agreements’ restrictions (as to time and territory), despite the Defendant only raising the adequacy of consideration as an issue. Although it is tempting to draft agreements broadly in this respect, a narrower set of restrictions will be more likely to be enforced by the Courts. There are many pitfalls associated with attempting to protect business information under the North Carolina Trade Secrets Protection Act. Unfortunately, many companies wait until after trouble develops to address these issues. An employer should consult with counsel preferably before such a problem develops.